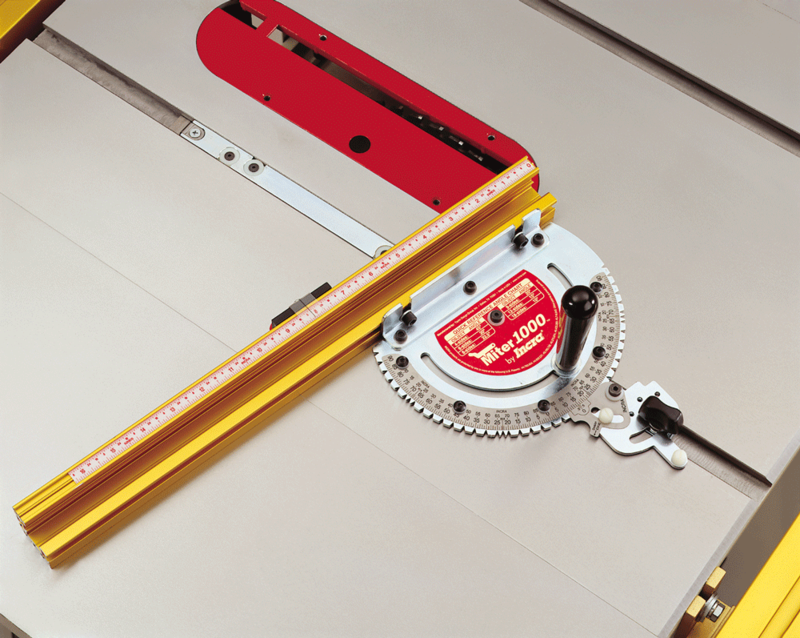 If you are looking for a great combination of basic affordability combined with unbeaten accuracy, the INCRA Miter 1000 is a terrific choice. We combined a solid-steel laser cut protracter head with a gold anodized INCRA Track Fence and a red Stop Positioner. Our sliding scales fit perfectly in the top slot on the fence to make stop positioning easy, fast and accurate. 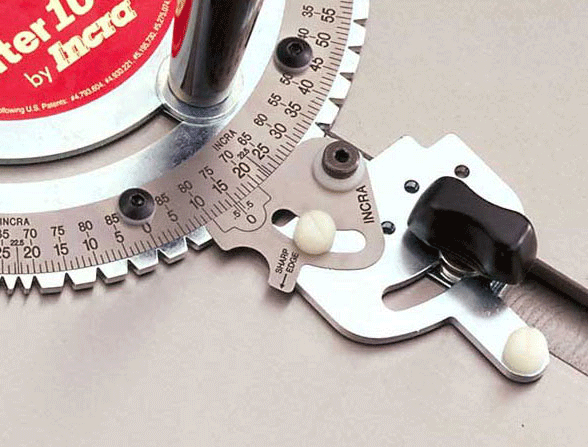 Whether it's your basic 90° cut-off, simple pictures frames, complex compound miters, or a 20-sided object, the Miter1000 - by INCRA delivers perfect repeatable accuracy. Precision angle indexing teeth are laser cut in solid steel to lock in 41 positive angle stops in 5° increments over a full plus or minus 90° range. Plus it has a 1/2° vernier cursor. 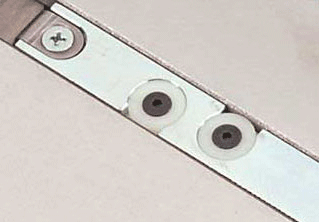 Six expansion points adjust BOTH sides of the bar for ZERO side play, anti-friction travel on all table saws with standard (or near standard) 3/4" x 3/8" miter gauge channels, including Delta, Craftsman, imports, etc. This means the bar WON'T wiggle around in the miter slot! 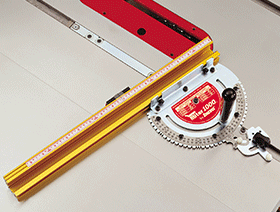 Click to download INCRA Miter 1000 Manual in PDF format. Click to download INCRA Miter 1000 Video in Windows Media format.